The HSVMA’s third annual Animal Welfare Symposium was hosted by the Student Chapter at Western University College of Veterinary Medicine on October 29th. There were approximately 60 symposium attendees, including local veterinary professionals and students representing six different vet schools across the country. HSVMA was able to award 12 student travel stipends thanks, in part, to a generous sponsorship by Wallis Annenberg PetSpace. For a third year, HSVMA brought together speakers who embody animal welfare education, and inspired thought and discussion regarding the most pressing animal welfare issues today. Six presenters spoke on a range of animal welfare issues. Dr. Gary Weitzman of the San Diego Humane Society spoke on leveraging the bond between people and their pets to keep shelter relinquishments to a minimum. Dr. Barry Kipperman, practice owner and HSVMA CA State Representative, spoke about ethical conflicts within private practice and how to consider handling these dilemmas. In order to mirror the problem-based learning central to Western’s curriculum, the audience broke into groups to discuss a hypothetical ethics case and presented their ideas. This novel way of presenting information at the symposium was popular and gave the chance for discussion and engagement of the attendees. Access to affordable veterinary care was the topic of Dr. Michael Blackwell’s talk. As the director of the Program for Pet Health Equity at UT Knoxville’s School of Public Health, he challenged the status quo and suggested some solutions to this ongoing crisis. After breaking for lunch, Dr. Holly Cheever, private practitioner and HSVMA Leadership Council member, spoke about how to recognize and report animal cruelty. As with Dr. Kipperman’s talk, the attendees broke into groups and discussed the main considerations in a couple of cruelty cases. Dr. Jim Reynolds, Vice President of Consulting for Praedium, spoke about the roles for veterinarians in farm animal welfare and the how development of welfare programs in dairies should be a priority. The final talk of the day was given by Dr. Ahne Simonsen, RAVS Field Surgical Director. Dr. Simonsen highlighted the benefits of volunteering your time and skills to any organization that helps animals in need, whether they are the companions of people with no access to affordable veterinary care, or animals who reside in rehab facilities or sanctuaries. The Rural Area Veterinary Services (RAVS) program is a popular volunteer opportunity with veterinary professionals and students. The Saturday evening before the symposium, Dr. Simonsen and Dr. Paul Breckenridge hosted a RAVS suture lab on campus for anyone interested in learning the techniques used in a high-quality, high-volume spay/neuter clinic such as RAVS and practicing their suture skills. “The speakers were so inspiring and knowledgeable about their fields. I feel empowered to make those changes happen. Also, it was so wonderful to see the veterinary community come together, techs, veterinarians, and students, I believe we all can make a difference,” said Rikki Boswell-Jones, HSVMA Student Chapter Secretary at Western. We would like to extend a huge thank you to our speakers, our sponsor, and the Western HSVMA Student Chapter and faculty, Drs. Zarah Hedge and Jose Peralta, whose hard work and dedication to this symposium set the bar high for next year’s event! The folks at Western even organized a recording of the lectures for members to view at their leisure. 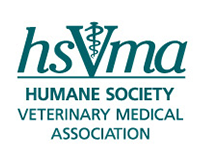 For those who were not able to attend this year’s symposium, check back with us next summer to see which school will be hosting the 2018 HSVMA Animal Welfare Symposium!